Designer Diane von Furstenberg attends Lincoln Center's American Songbook Gala at Alice Tully Hall on May 29, 2018 in New York City. Diane von Furstenberg attended the American Songbook Gala wearing a black cocktail dress with white square accents and a ruffled hem. 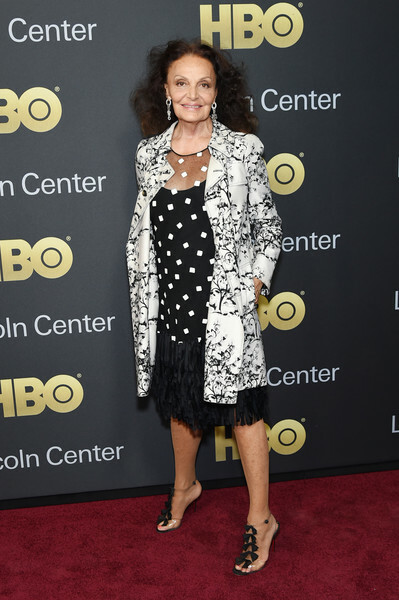 Diane von Furstenberg teamed her dress with a printed white coat.